Live a life with a side vision that you could lose that job tomorrow. I recently lost a job with a company I have served over two decades. It was an “economic” decision on the part of the company. The workplace adage “nobody is indispensable” became a stinging realization not only for me, but for all those who thought a senior profile, such as mine, a vouched pillar of strength, loyal employee, consistent performer, with technical skills considered a rarity in the market, would be an exception to this adage. This news sent ripples of concern among colleagues, not so much as to why it has happened to me, but more as to what if it happens to them. They realized that, after all, there is really no such thing as a job security. A sudden job loss can hit anybody regardless of age, gender, skills, loyalty, seniority and corporate clout. A job loss is like a thief in the night, as the cliché goes. Rarely is it announced way in advance to allow you to prepare for it. Preparing for a job loss is not an overnight activity. It requires years of diligent planning and plan executions, like drawing a disaster recovery plan. I share below the long preparations that I did to “job-loss-proof” myself. Maintain a lifestyle that does not require your entire active income to sustain it, so that when the active income disappears, it will not be difficult for you or your family to make adjustments. While it is good to reward yourself with the results of your hard work, prudence must be considered when making that big lifestyle change each time you get a salary adjustment. Live a life with a side vision that you could lose that job tomorrow. Paying up debts is a commitment you will have to fulfill even after you lose that job. You would not want your food or fuel budget to be reallocated to debt payments or worse, to default on the payments, and earn penalties. It is easier to adjust to aspects of your life that are within your control. Like, you can always cut down on utilities, food, transportation, etc., but debts are there to pay whether you have food on the table. The heftier the better it is. Job or income losses should not give you sleepless nights that could put a toll on your health, just because there is nothing in the bank to sustain your living expenses for a few months. 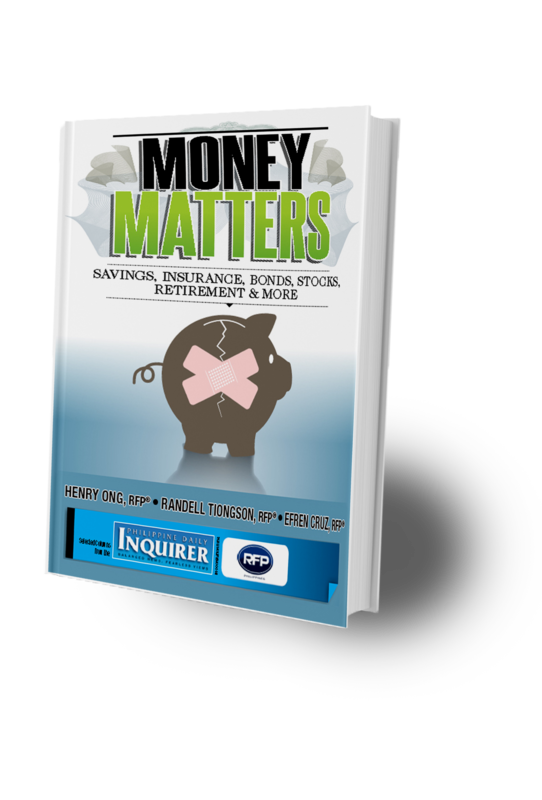 Build backup funds that will last your monthly living expenses for at least six months. If you think that job or income opportunities for you will eventually be hard to come by, build a fund to last you a year. This time should be enough a period for you to build new skills or to start work on new ventures. Nothing relieves you more than the assurance of passive income when the active one ends. At least for the time being, there is still income to rely on, only that you will have to make some lifestyle changes if this will be your only source and it is not enough. Invest on income-earning real-estate properties and fixed-income bonds, which will give you a steady supply of money, while you work on your next active income venture. DO this to keep up with the competition and to make your profile marketable thereby increasing your chances of getting hired elsewhere soon after a job loss. Today many employers look for keywords that exist in your resumé, and these could be technical skills, certifications, experience in various compliance standards, etc. No one is too old to learn new things. Let as many people know that you are moving on from your last employment as some of them may want to tap your skills for a new job, new business or even an advocacy. Be social-media active, make new friends, and join social-media groups on subjects that you are most likely to get opportunities or ideas from. A famous author said that “when you want something, the universe conspires to help you.” So help yourself only with positive thoughts. Envision that great things will come. And do remember that “when one door closes, another one opens.” There is a lot of room in the universe for all dreams to become realities. 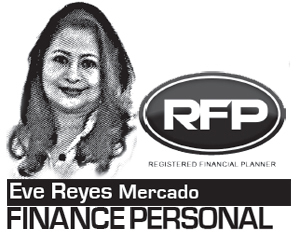 Eve Reyes Mercado is a registered financial planner of RFP Philippines. Next: Should I be Investing Now?